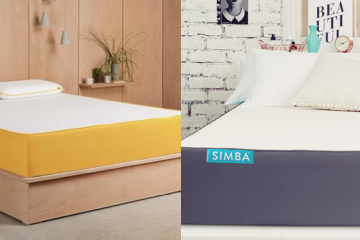 Quite a few readers email me asking which mattress is better, A or B? This is why I decided to start this section, comparing popular mattresses to help people make their final decision. Today I will make the Hyde and Sleep vs Leesa mattress comparison as it’s a quite common question in my inbox. They are both very well known and quite popular but very different in built and design. What they have in common is the fact that they are both excellent value for money and they both come rolled in a box! I am sure you all want to find out which one is better so let’s move to the full comparison below. These mattresses have very different designs and they use materials that are not similar. 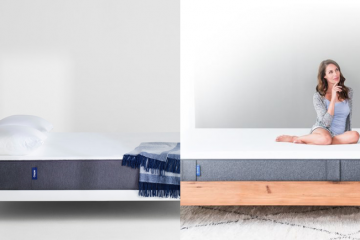 The Hyde and Sleep mattress is a hybrid one. This means that it combines the memory foam technology with pocket springs. In more detail, Hyde and Sleep has a total of three layers. The top one is a memory foam layer that is there to provide you with the comfort and support you need. 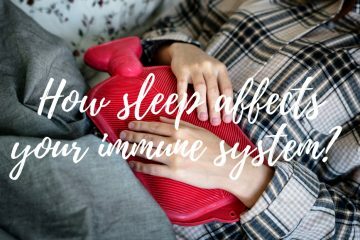 It also allows airflow in order to keep your mattress cool. In the middle, there is a high number of mini-pocket springs that adjust to your body’s movements and provide you with support. Finally, the bottom layer is made of high density foam designed with ventilation channels to keep the mattress cool. This layer also works as the base of the mattress. 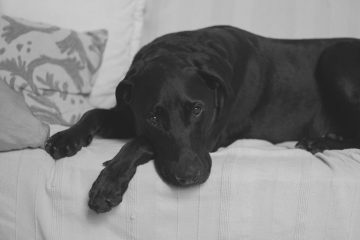 On the other hand, Leesa is another type of ‘hybrid’. It combines latex with memory foam which is a quite interesting approach. Leesa is made of three layers in total. The top layer is a latex foam layer (Avena) which is there to keep the mattress cool during the night. The middle layer is a memory foam one which provides your body with pressure relief and comfort. Finally, the bottom layer is a dense foam one which works as the base of this mattress. Both mattresses use really high quality materials despite the low selling price. This is because they use the direct-to-consumer approach and they have cut all the middlemen. So no need to break the bank if you want a high quality mattress. 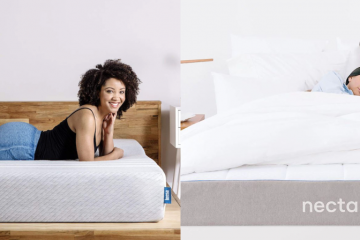 Both mattresses feature covers that are made of stretchy and breathable materials. The Hyde and Sleep cover is made of a blend of 98% polyester and 2% elastane. This makes it stretchy and the cover hugs nicely the mattress. It is a very breathable surface which ensures that your mattress will stay cool. The design is also very nice. The top part has a nice pattern and is white. The side and bottom part is dark grey. Moreover, Hyde and Sleep applies a third colour which represents the type of the mattress. The Hybrid Plus in test features a dark raspberry line which blends well with the white and grey. The Leesa cover is made of lycra. This makes it durable but also breathable at the same time. The cover is stretchy but not as stretchy as the Hyde and Sleep one. The design of the cover is simple but beautiful. It features a light grey colour with three white lines positioned on the lower part of the mattress. I would say the design is geared more towards male customers. My girlfriend didn’t like it! Both covers are really good and they do a good job in keeping the mattress cool during the night. Personally, I think the Hyde and Sleep one is a bit better. You can machine wash them in low temperature and to remove them, you just need to unzip them. Overall, both companies did a good job here. Both mattresses have the ‘one mattress fits all’ approach. This means that they are medium-firm. More specifically, if I use the virtual firmness scale I have been using in this site I would say that both are 6.5 with 10 being really firm. 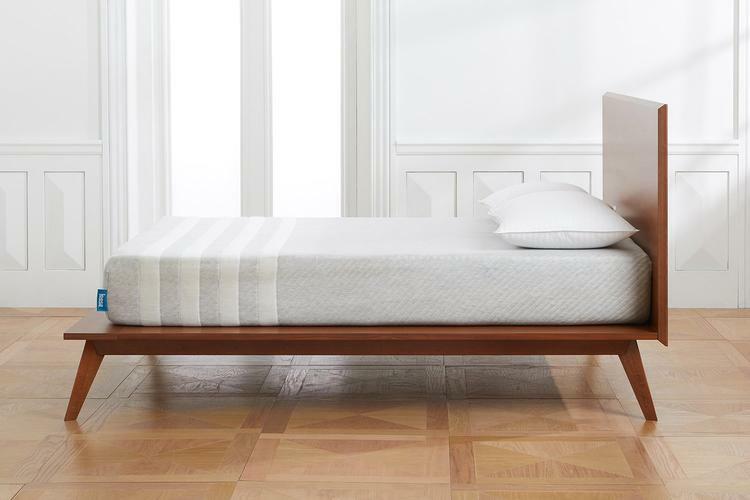 The Hyde and Sleep mattress is one of my top rated ones here. It is a very well balanced mattress that uses the memory foam and micro-springs in a very efficient way. You will get both support and comfort from this mattress and overall I think that is a mattress that would fit most people’s needs. It also has a great edge support which makes it suitable for couples. I believe that if they ever produce this one in the EU sizes too then Hyde and Sleep would get top on my list. The Leesa mattress is also one I like a lot. Just like Bruno, the use of latex is very good for people with chronic back pain like myself. Leesa offers one of the best pressure reliefs out there and a very good support. However, it lacks the ‘bouncy feeling’ that pocket springs offer so if you like that, go for a hybrid mattress. 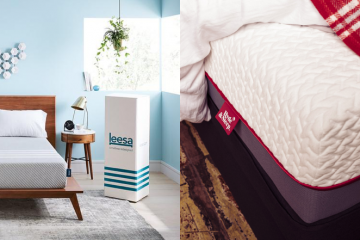 Overall, Leesa is a very good mattress and you won’t be disappointed. The table below summarises all the information related to this mattress comparison. It’s time now to complete this Hyde and Sleep vs Leesa post. I think that both mattresses are very good choices and most importantly they are fairly priced. It’s really down to what needs you have but overall I will give the edge to Hyde and Sleep. Having said that, I will now share my final thoughts on these mattresses. Look for a really well balanced mattress that offers both good support and comfort. They want a mattress that has a nice bouncy feeling. 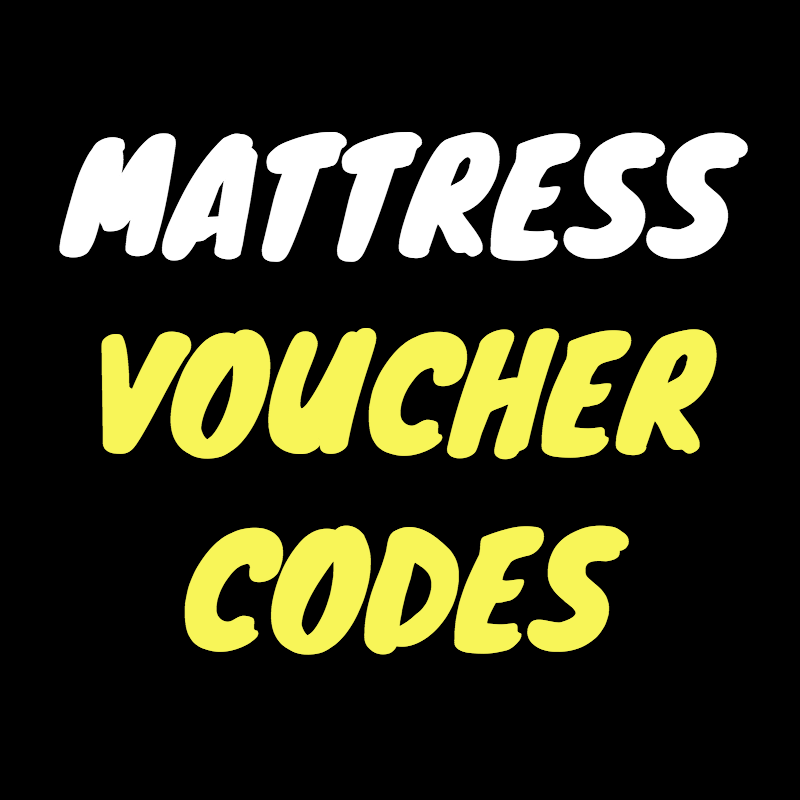 Want a mattress that is well built and has great edge support. If you look for more information on this mattress you can find the full review here. 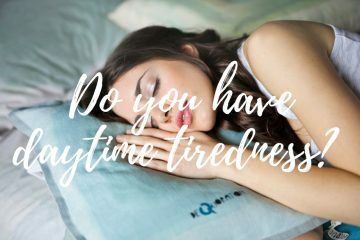 You can also visit hydeandsleep.com. 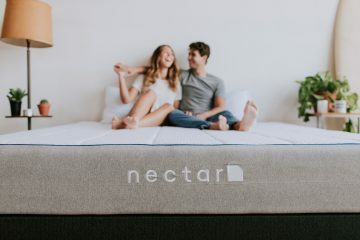 Prefer a medium-firm mattress that is not as bouncy as a hybrid one. Suffer from chronic back pain and look to get pressure relief. 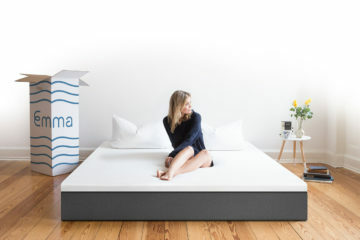 Want a mattress that stays cool due to the Avena foam layer. 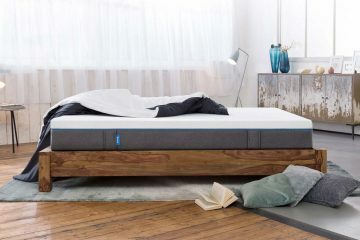 For more information on this mattress visit leesa.co.uk or read my full review here. If you have any more questions regarding these two mattresses feel free to contact me. I hope I was helpful! Good luck with your purchases!